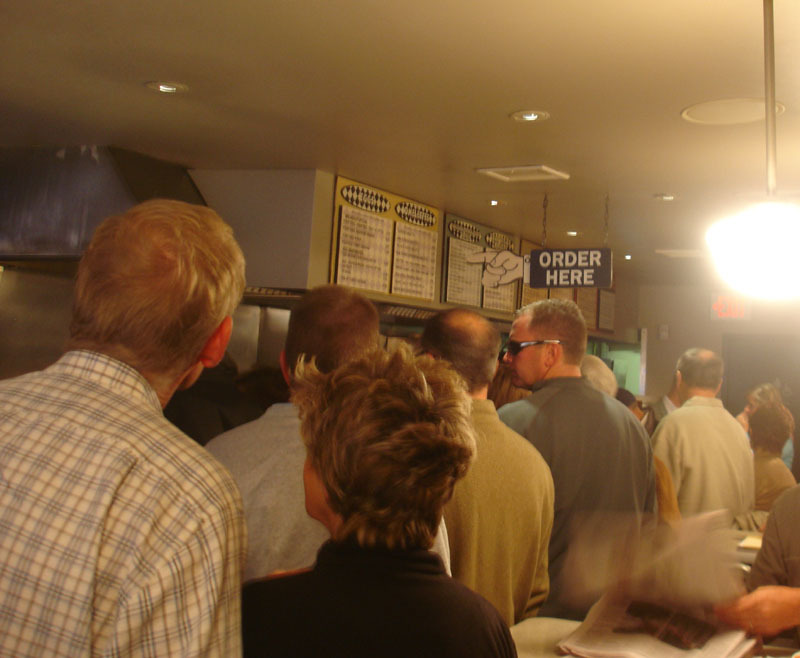 This past weekend when we arrived at The Paramount on Beacon Hill there were several empty tables and the line at the counter was only about 5 people long. We were able to order our food and find a table no problem. I think we arrived just in time. Seconds after our butts hit the chairs there was a huge onslaught of people and the line at the counter was suddenly over 2 dozen people long. 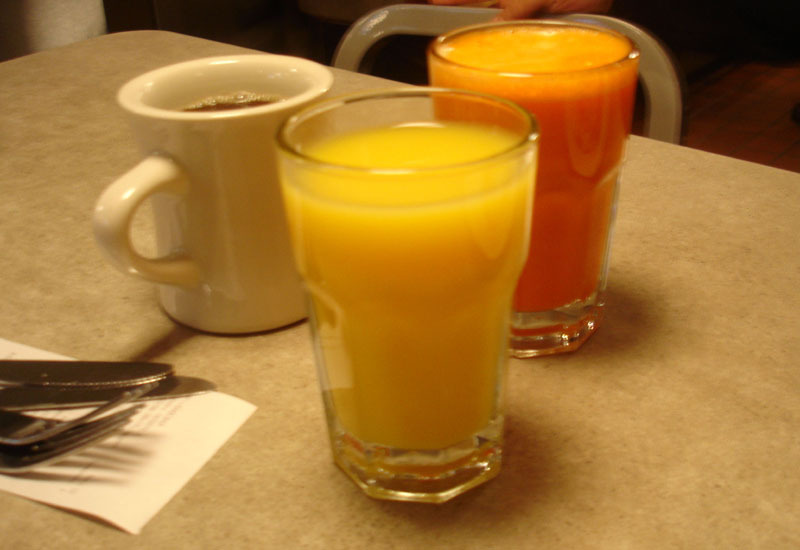 For our breakfast we ordered an egg & cheese sandwich on a grilled roll, malted Belgian Waffles with fresh fruit, an orange juice and a freshly made carrot juice. 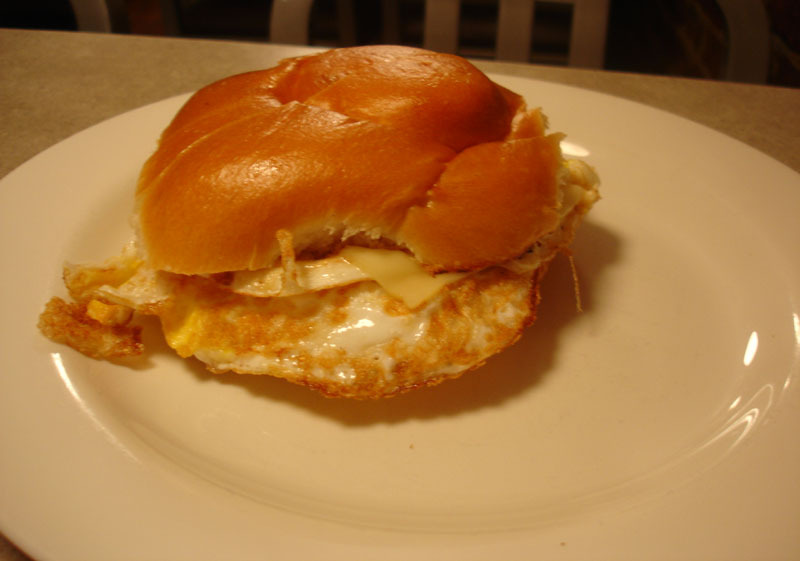 My husband thoroughly enjoyed his egg sandwich. Sometimes the simplest of foods really make us happy. And coming in at around $3 its a pretty budget-conscious breakfast and way better than any egg sandwich that you would get at Dunkin Donuts or McDonalds. 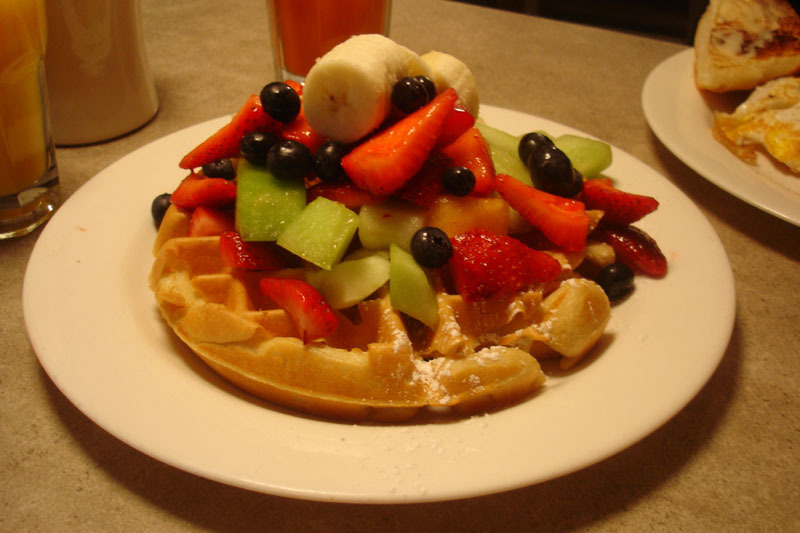 The waffle was generously heaped with fresh berries, melon, and banana. It was refreshing to see a waffle topped with fresh fruit versus fruit swimming in a gloppy syrup. The waffle was one of those dishes that made people walking by go “Oooo! Look at that!”. The waffle itself was a nice combination of crispy on the outside with a nice soft and chewy interior. 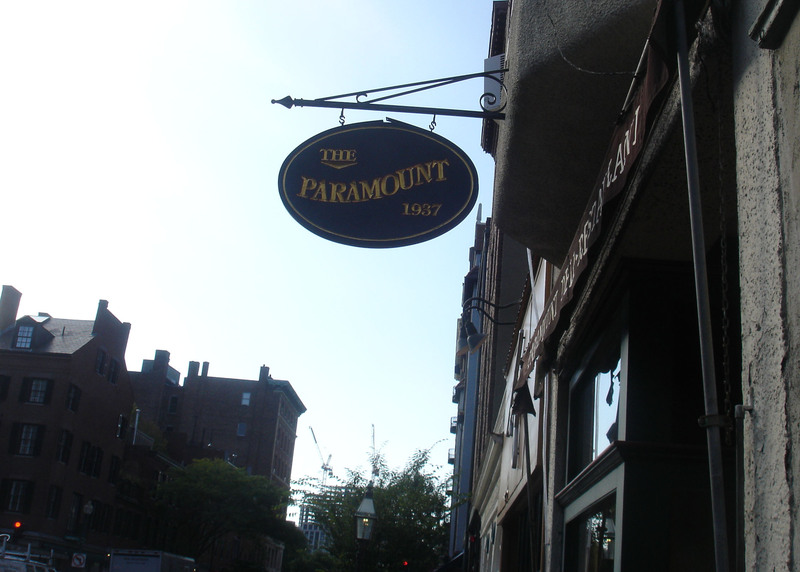 The Paramount is a casual place where you order food at the counter and then find a table. The dining space is small, clean and inviting with exposed brick walls and large photos hanging all over the walls. You might have a bit of a wait to order your food and then another wait to get a table but in my opinion, the food is worth it. And don’t try to hold a table while someone else orders your food for it. The restaurant staff will shoo you away from the table and ask you to wait until you have your food to sit down. We went at around 8:30 or 9 on a weekday and had a very short wait to order food and no wait to get a table. I hope to make it over there for lunch someday soon. It is completely walkable from my office, if the weather is agreeable. It could also end up being a 2 hour lunch, depending upon the lines. I was over in the Mass General area on Saturday morning and decided to stroll down Charles Street. Charles Street is one of my favorite streets in Boston… so picturesque and so many cute little shops and restaurants. I was feeling a little hungry so I decided to stop in at Cafe Vanille to grab a bite to eat. 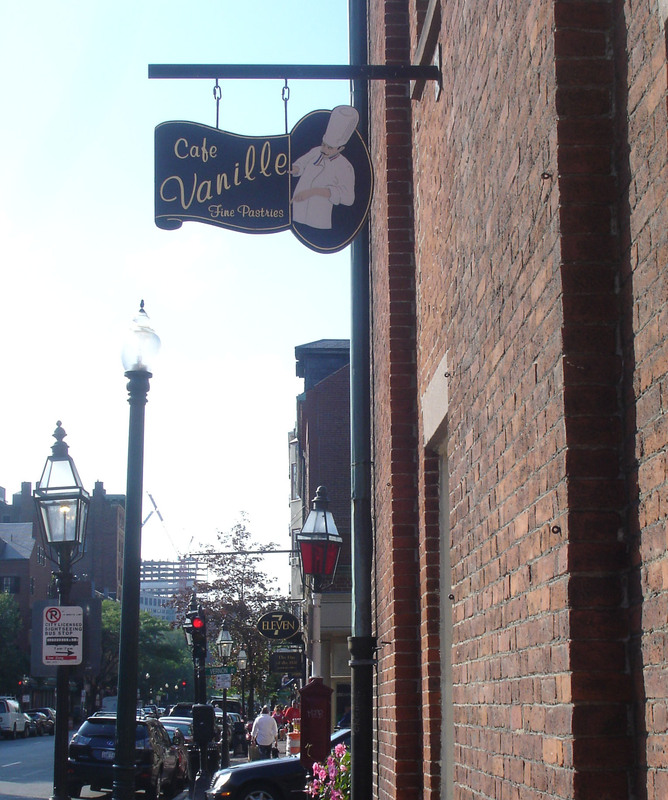 Cafe Vanille is a bakery serving up breakfast items, coffee, sandwiches and desserts. A few years ago I ordered an assortment of their petit fours and mini-desserts for a going away party before. They were a big hit at the gathering. The mini desserts are so cute, some are tastier than others and at $1 or more a piece the bill for these little treats can rack up quickly. This cute & casual space has a few tables along the walls across from the pastry cases. But, the best place to site is outside. They have a great little patio on the corner of Charles with excellent people watching. Its a great place to sit and read the Sunday paper while sipping your latte and nibbling at your quiche or croissant. This past weekend I chose to get my pastry to go and stroll to the Public Garden and eat it there. I ordered the Sunburn Croissant which is a croissant with peaches and almond paste. 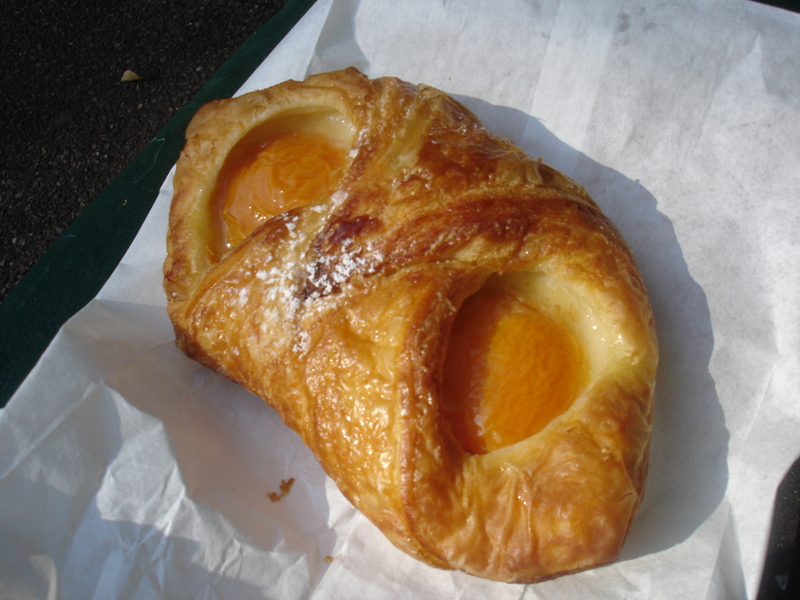 The peaches almost look like sunnyside-up eggs nestled amongst the folds of the croissant. The croissant was fresh and tasty, definitely better than what you can get at Au Bon Pain.